According to the U.S. Department of Labor, the dental profession is one of the most dangerous, because of the typical working conditions and chances of breathing in harmful contaminants. But some of the dangers affecting dental lab workers aren’t because of dust coming from the substrates they work with—germs, bacteria and viruses affect workers, too. Given the close proximity of work stations and workers, the threat of catching the flu or germ-spread diseases is very real. So how can the dental profession combat contaminants? There are several ways. First, supervisors should encourage workers who are ill to stay away—sounds harsh, but the transmission of flu and viruses can be greatly reduced by ensuring sick workers stay home. And for those workers who are on-the-job? 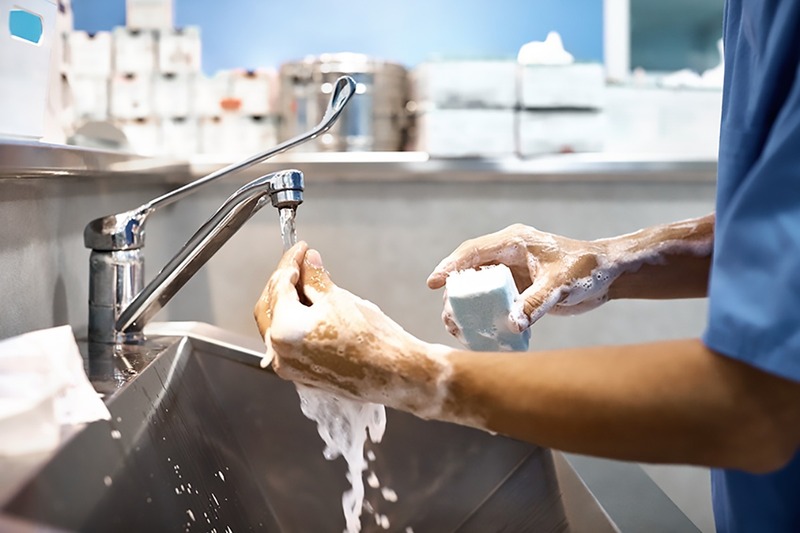 They should frequently wash their hands to remove any germs they might come in contact with on common surfaces, like doorknobs, tabletops and the like. The complete line of AeraMax Professional air purifiers does just that, removing up to 99.97 percent of contaminants—like viruses, germs, bacteria, allergens, volatile organic compounds and odors—from indoor air. Using hospital-like True HEPA filtration, these purifiers sense when the air is dirty and work quietly and efficiently to automatically rid the air of pollutants. As an added bonus, commercial-grade AeraMax Professional air purifiers help dental labs keep ahead of the ever-present problem of airborne dust derived from grinding and casting molds. Silicosis and the Dental Industry AeraMax on the Air—and Cleaning It. Don’t Forget IAQ in Cleaning Programs Get Ready…It’s Coming.